The Shins On World Cafe : World Cafe Hear the Portland indie rock staples perform their joyful, introspective songs on today's show. The Shins' latest release, Port Of Morrow, is their first album in five years. 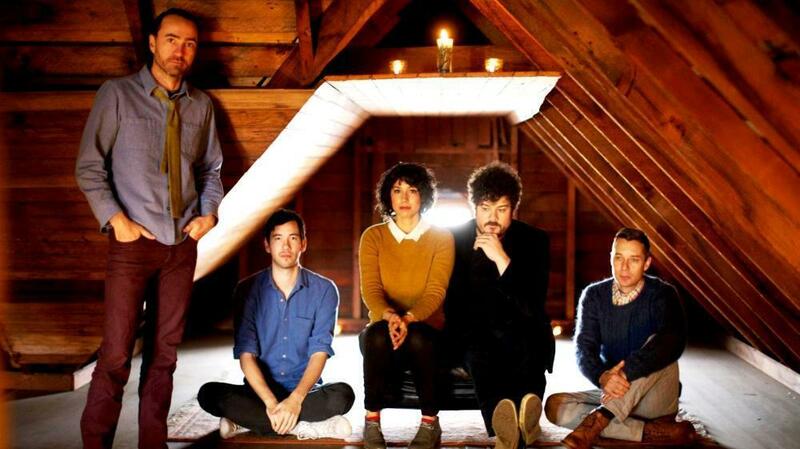 The Shins are a dream-pop outfit from Portland, Ore. Arising as a side project while singer/songwriter James Mercer lived in New Mexico, the band took on a life of its own after a number of singles such as "New Slang" were featured in films, pulling the young indie rock group into the national spotlight. The Shins have since shared the stage with the likes of Modest Mouse and Iron & Wine, toured internationally and received a Grammy nomination for 2007's Wincing The Night Away. The Shins will release their fourth record, Port Of Morrow, March 20th. This 10-track collection represents a new beginning of sorts — Mercer has recruited a new backing band with ties to Modest Mouse, Beck and Crystal Skulls. The result is joyful and introspective, influenced in part by Mercer's new familial situation. As he put it, "Having children is something that makes you think about the importance of love and relationships between humans." This segment originally aired on March 16, 2012.